You are about to start a new business. Fortunately the infrastructure for your new business is in place. It is a global network of commercial banks and currency dealers that communicate through the internet to make markets on a twenty four hour basis for currency traders, large and small, throughout the world. Like any business, you will need an office that is quiet, comfortable and relatively free of distractions. The office should be equipped with a fast dependable computer that has a reliable internet connection. It is always nice to have a combination copier, printer and fax connected to your computer. Keep educating yourself about forex trading. 1. Be Curious And Learn All You Can About Forex. We have provided you with a school to learn about Forex for free. We advise you to read all the articles, educating yourself first about basics and money management, and then reading about the technical and fundamental indicators, including the currency specific fundamentals. Your learning should not end with our website, however. There is a wealth of educational material online: there are educational websites like our own, as well as plenty of Forex related forums like our own. The forums are a good way to network and interact with others of differing expertise and skill sets. You can ask any question you like and someone with the right knowledge and expertise on that subject is bound to answer you. There are also plenty of good Forex education books one can read at the library or purchase online. Read, listen to CDs, attend seminars, read the forums daily and practice your newfound knowledge. Everything you seek to know about trading has already been written or spoken about by successful traders. While you can pay for this education, most of it can be found for free. Try to learn something every day. But learning is not just reading and listening. You must do, that is, you have to practice your trading (firstly in a demo account and then in a real account). If you have never traded Forex, please start off trading in an MT4 demo account. Demo accounts allow users to use “play money” to practice trading with live data. They offer a very similar experience as if you were trading with a real live “real-money” account. Once you create a “Paper Trading” account you’re able to trade the play money as if it were your own hard cash. With these demo trading accounts you will be able to see how the currency markets behave, how the platform behaves, and how you behave in the face of technical and fundamental conditions that affect the market. You should be treating this demo account seriously if you want to learn from the experience. 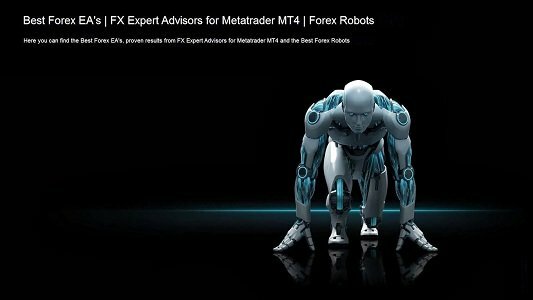 We are strong advocates of trading with Metatrader (MT4) because it’s the platform of choice for Forex traders and brokers. It is free, versatile and it comes equipped with numerous expert advisors, tools, indicators and scripts to allow for simple and sophisticated manual and automatic trading. When looking for an MT4 demo account, be warned that most only last 1- 3 months and then expire. It is only the minority that last forever, that is, they do not expire so long as you are trading on it once per month. I prefer the forever demo accounts versus the 1-3 month expiring demo accounts for obvious reasons. After you have downloaded and installed your demo, click on “File” and click on “Open an Account.” It will then ask you to key in your relevant information, along with options for selecting your base currency, leverage and starting amount. Deposit demo amount should be similar to what you anticipate trading in a future live account. You will receive your login and password immediately after creating a demo account. Remember to copy and paste your login and password to a .txt file and store it in a safe place. If you lose it you will not be able to retrieve it again, even if you call your broker. We encourage traders to test their learning and skills first on a demo account and build up your confidence trading it before committing real capital. That being said, you really do not know yourself as a trader until you have traded in a real account. Though demo trading is necessary, you ultimately have to work yourself up to trading in a real account with real money on the line. You will never really know how you are as a trader until you trade with a real account with at least the minimum lot size. All the human limitations of trading (greed, fear, ego, etc.) can only be tested and put under control when real money is at stake. There are many Forex brokers to choose from, just as in any other market, and we have provided you with a complete section, “Choosing a Forex Broker,” to help you make your choice. You will give the broker your personal information and the account is subject to approval by the broker. You can fund your approved account through various funding options, depending on the broker, such as credit card, bank wire, PayPal, MoneyBookers, WebMoney. It can be instant or take a few days, depending on the method. Is the FX broker’s spread low enough? Is the FX broker registered with regulatory authorities aimed at protecting client interest? 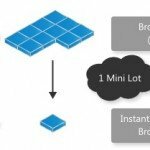 What kind of tools does the FX broker provide? What kind of margin policy does it have? What type of customer support does the FX broker provide? If you do not have sufficient capital, check whether the FX broker offers mini or better yet, micro accounts that require low startup funds? 4. Equip Yourself With Cutting Edge Tools And Systems. In terms of your state of the art trading platform and charting software, you have it for free with your download of Metatrader 4 (MT4). 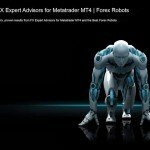 MT4 is easy to use, it comes already equipped with a number of useful indicators and trading tools, and above all, it is free and thousands of traders are using it. We strongly encourage you to comb the web and forums for powerful indicators and expert advisors (EAs) developed by smart coders to help traders. An Expert Advisor, simply called an EA, is a forex robot designed to provide 100% mechanical trading on one’s MT4 platform. The EA monitors the market 24/7 for buy and sell opportunities based on programmed trading conditions. Many EAs can be acquired for free in different places in the internet. There are many more that can be purchased, and though robot costs vary, most are sold somewhere between $90 and $300. However, buyers beware: some robots are scams, and most robots will make the vendor richer than you ever will ever be trading their robot. In fact, most robots will help you lose more money than win because of the simple fact that the market is exceedingly dangerous and 95% of robots fail for some of the same reasons that 95% of traders fail. 5. Avoid Forex Trader’s Common Mistakes. In a nutshell, avoid trading with your emotions, avoid over-trading your account, avoid over-staying at your positions, avoid bad money management, avoid risking what you cannot afford in Forex trading. Forex trading involves a lot of risks and traders are always advised to trade and learn in the same time. Become aware of common mistakes made by most Forex traders and set your own rules during trading in FX market. Trade with discipline and always prepare to learn new concepts from others. 6. Keep Investing In Your Trading Education. We just cannot stop stressing the importance of investment education. It is the most crucial thing to begin in your venture into the world of forex. If you are new to Forex trading, you must learn as much as you can, get hands-on experience and read as much FX books and online articles as you can to educate yourself regarding FX market. You need curiosity, the time and the desire to acquire a lot of knowledge. Once you are ready, it is time to take a look into risks factor in Forex trading and trade with your own money, learning from the world of hard knocks and experience. Success in the FOREX market comes with patience and experience. Some traders think that after minimal study they are ready to start their new career. It is best to remember what a wise man said many years ago. Traders who enjoy initial success often pay a price later, as a few successful trades may give them false confidence. Then they cease to study and learn, perhaps trade bigger positions, and lose a lot of their capital. It is best to take your time and learn because there is a lifetime of opportunities.